Parts of the coating on the Line 5 oil pipelines were damaged while workers installed safety anchors. Valerie Brader directs the Michigan Agency for Energy and co-chairs the state Pipeline Safety Advisory Board. She says there is no immediate threat to the Great Lakes. “But certainly the scraping off of protective coating, especially if it occurred during the installation of a safety measure, is completely unacceptable and should have been immediately repaired," Brader said. The company was too slow to repair the damage, according to Brader, and she called for them to move quickly to remedy the situation. “But, in addition, I’m just disappointed that something that was described to the public as the size of a Band-Aid is, instead, obviously much different and much more serious," Brader added. The discovery was made after state officials looked at photos of the damage provided by Enbridge. The company says repairs and further inspections of Line 5 should begin next week. In full disclosure, Enbridge is a financial supporter of Michigan Radio. 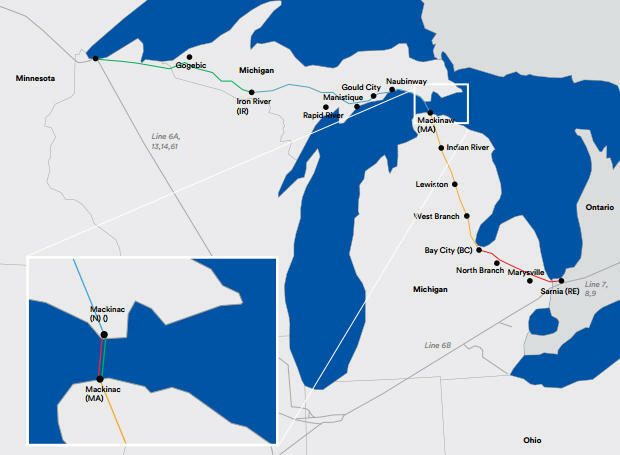 The state is ordering Enbridge Energy to take swift action to fix portions of the Line 5 energy pipeline that runs beneath the Straits of Mackinac. Enbridge reported to the state that small portions of enamel coating were accidentally removed in two places. 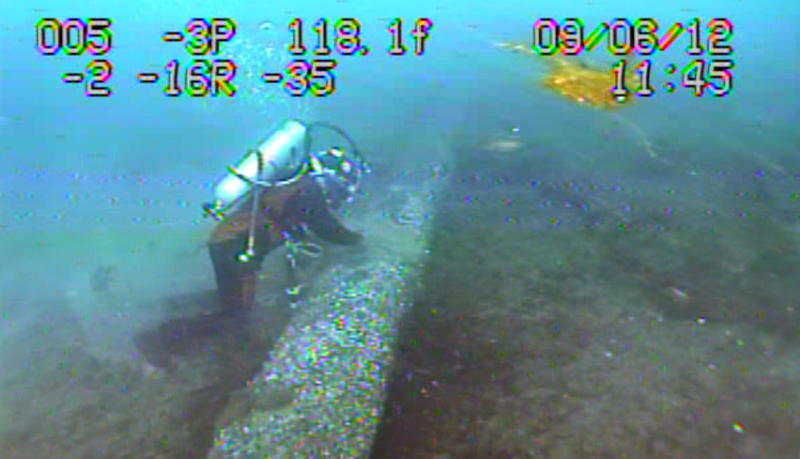 The coating protects the oil and gas line that runs beneath the Straits of Mackinac from corrosion. Melody Kindraka of the state Department of Environmental Quality says there’s no immediate threat to the Great Lakes, but it’s concerning that the problem was the result of human error. State agencies have weighed in on the controversial Enbridge Line 5 pipeline. There’s still time for people to comment on a report about potential alternatives to the Enbridge’s Line 5 pipeline. The Michigan Department of Environmental Quality, Michigan Department of Natural Resources, Michigan Agency for Energy, Michigan Public Service Commission and Office of the Attorney General gave their thoughts over the weekend. The line sends oil and liquid natural gas under the Straits of Mackinac. 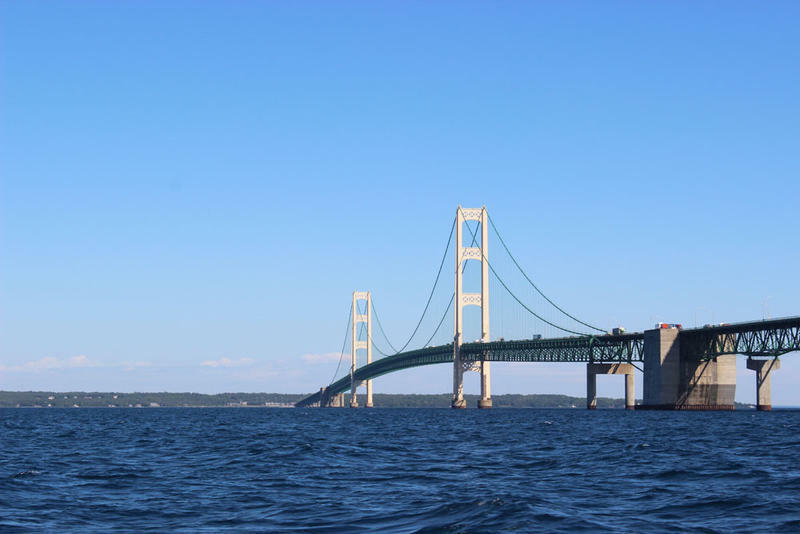 The state of Michigan this week ordered Enbridge Energy to restore a protective coating on parts of its Line 5 pipes that run beneath the Straits of Mackinac. Enbridge reported to the state that small portions of enamel coating were accidentally removed in two places. A state commission is facing pressure to shut down Line 5 completely. This Week in Review, Weekend Edition host Rebecca Kruth and senior news analyst Jack Lessenberry talk about whether Enbridge's disclosure will turn up the heat.